Raccoon may be adventurous to some, but for those who wish to be even more daring, we say try this pulled barbeque raccoon recipe. Then you can say you had raccoon on a bun. Thanks, Art! • Skin, dress, cut up and wash the raccoon remembering to cut out the scents glands then trim off all the fat. Soak, immersed in cold water with ¼ cup of salt and ¼ cup vinegar overnight or for at least 3 hours. • Using fresh water, bring cut up raccoon meat to a boil then turn heat to medium and continue boiling for 1½-2 hours until meat is soft enough to pull from the bone, then strained cool meat off. • For the sauce, place fat in heated skillet then fry onions and garlic until golden brown. Add remaining ingredients and bring to a light boil stirring occasionally for 5 minutes. • Pull the cooled raccoon meat from the bones and shred up with your fingers, then place into bowl and stir in sauce and mix well. 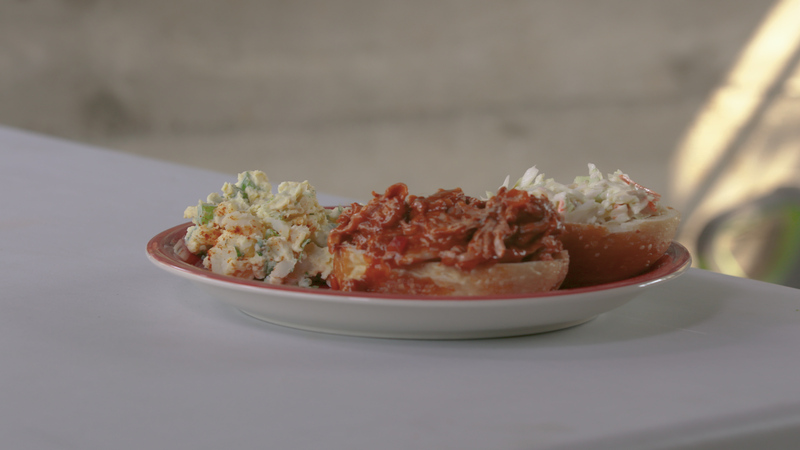 • Serve on the buns along with coleslaw and side of potato salad.